FFA - Lifestyle Lift stops advertising on Al Jazeera America. Thanks to everyone who sent emails to their physicians. Lifestyle Lift appears to have stopped advertising on Al Jazeera America. Florida Family Association sent out several email alerts in mid to late June 2014 that reported LifeStyle Lift was a frequent advertiser on Al Jazeera America. Thousands of people responded by sending emails to Lifestyle Lift officials and referral physicians. 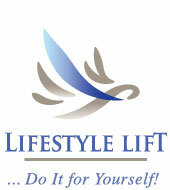 Lifestyle Lift has not advertised in over two weeks. The frequency of their advertisements diminished rapidly days after Florida Family Association sent out the first email alert. The company's advertisements continue to air on other networks hosted by the same cable company monitored by Florida Family Association indicating that their media buy has not stopped. Lifestyle Lift has not communicated with Florida Family Association regarding future advertising on Al Jazeera America. Floridafamily.org will resume the online campaign if the company starts advertising again. Florida Family Association tapes ten hours of programing on Al Jazeera America every day. The Florida Family Association office communicates with each advertiser no less than once per week. Top advertisers are strategically featured one at a time in email alerts because there are so few of them. One hundred fifty nine (159) companies have stopped advertising on Al Jazeera America.